The University of Alberta is proposing to raise the rates for parking citations on campus and will increase the price of its annual and monthly parking passes. 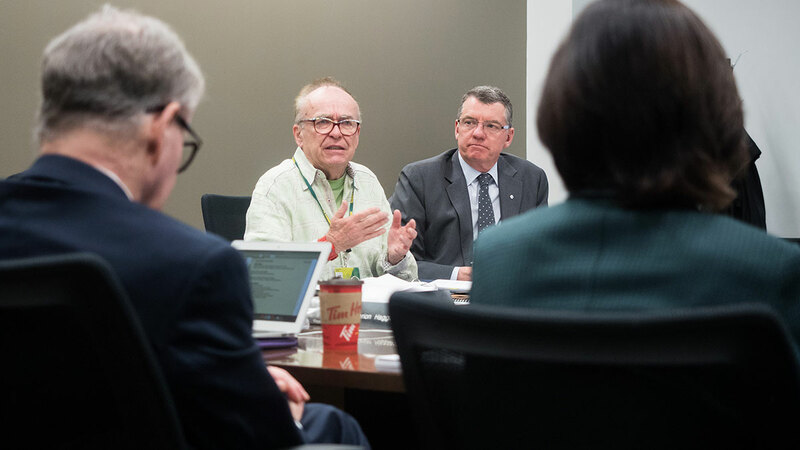 At the Board of Governors Board and Finance Property Committee, which oversees all financial matters at the U of A, a proposal to increase the rates of parking fines passed on November 27. The proposal will be voted on at the Board of Governors meeting on December 14 and, if passed there, all changes would come into effect May 1, 2019. 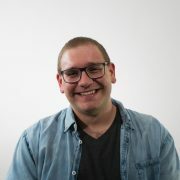 The proposal will see fines for double parking increase from $10 to $100, leaving a vehicle running in a prohibited space from $20 to $100, and parking in a reserved area without a valid permit from $50 to $100. According to Andrew Sharman, U of A vice-president (facilities and operations), Parking Services on North Campus has seen a steady decrease in parking regulation compliance. From 2013 to 2017, the total citations issued, not including warnings, have increased by 34 per cent. Citations issued for the use of a parking space without purchasing a permit have increased by 48 per cent. “It is becoming a real problem with people abusing our parking,” Sharman said. Sharman said the U of A tries to match parking fines with the prices set by the City of Edmonton and Alberta Health Services. The City of Edmonton last raised their rates in 2017. He said current citation prices are not sufficient enough to encourage parking compliance. Sharman added that no additional resources have been allocated to parking enforcement. 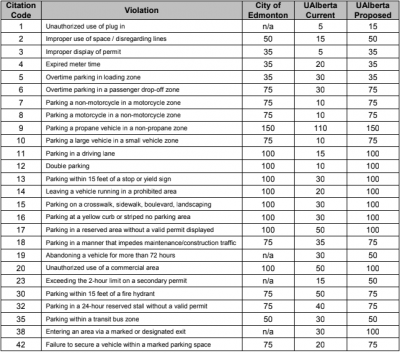 The U of A has begun to issue City of Edmonton parking tickets at South Campus due to higher rates of serious infractions like blocking fire lanes. When a City of Edmonton parking ticket is issued, the revenue returns to the city but it cannot be ignored by visitors to the U of A. Students who have outstanding tickets may have their degrees withheld or entrance to courses barred. Faculty who do not pay for their tickets have them automatically deducted from their pay. In addition to parking citations, parking rates for monthly and annual faculty, staff, and student parking will increase by 2.27 per cent for the 2019-20 fiscal year. The motion was approved by the Board of Governors, Board and Finance Property Committee on November 27, and will not need further approval from the Board of Governors because it’s below the inflation rate. The adjustment will only affect annual and monthly parking permits at the U of A. Visitor parking rates will not change. 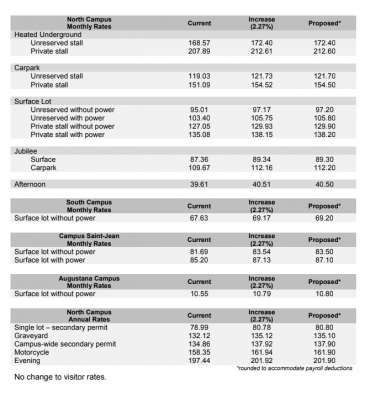 Following the increase, a North Campus monthly rate unreserved stall in a carpark will cost $121.30 instead of $119.03. According to Sharman, increasing visitor parking on an annual basis is inconvenient to users and requires reprogramming of parking meter technology. He added that visitor parking will increase only once annual increases make it practical to do so. Sharman said that Ancillary Services will be preparing an education campaign to inform the campus community of the upcoming changes.